For the first time in the sale’s history the Tattersalls February Sale begins a two-day run on Thursday with a record 488 lots set to go under the hammer. 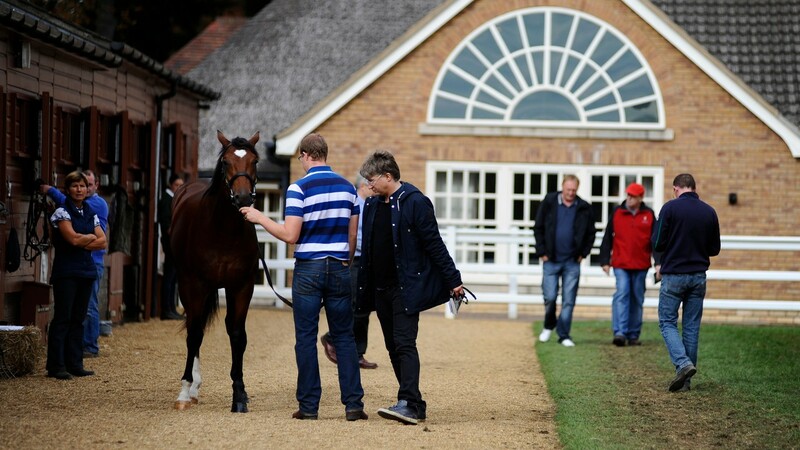 The auction features drafts from Godolphin, Juddmonte, Shadwell, John Gosden and Hugo Palmer. The largest consignment comes from Godolphin, who provided last year’s sale-topper when Doldrums, a seven-year-old daughter of Bernardini in foal to Exceed And Excel, was bought by Marco Bozzi for 145,000gns. This year they will offer a 57-strong draft and among their lots on offer are Italian 1,000 Guineas heroine Love Of Dubai (Lot 174), who is in foal to Dawn Approach, Listed winner Semayyel (73), who has been covered by Night Of Thunder, and the Listed-placed Beraymi. Also on offer are Catwalk Queen (88), an unraced daughter of Cape Cross who is a half-sister to Group 3 winner and the Irish Oaks-placed Jack Naylor, the Group 3-placed Moderah (95), a five-year-old daughter of Makfi, and Winning Return (190), a three-year-old daughter of Exceed And Excel who is from the family of Park Appeal, Cape Cross and Iffraaj. Sold last year From 306 lots offered, 251 sold for a total of 2,718,800gns (+ five per cent), an average of 10,832gns (- 12 per cent) and a median of 5,000gns (- 29 per cent). Star graduates Sovereign Debt (bought by Dandy Nicholls for 145,000gns), and Kheleyf's Silver, the dam of Tiggy Wiggy, (Anthony Stroud, 15,000gns). Another horse who could have plenty appeal in the ring is the Michael Dods-trained Easton Angel (100), a four-year-old daughter of the commercially popular Dark Angel, who is a dual Listed winner and has also placed in Group 2 company. She will be offered by Bill Dwan’s Castlebridge Consignment. Juddmonte will offer the unraced Body Armour (400), a three-year-old son of First Defence who is a half-brother to Prix de la Foret winner Etoile Montante, and Piaffe (401), a three-year-old daughter of Successful Appeal who is a half-sister to Group 1 winner Giant Treasure. Before the first session, which gets underway at 11.30am, those visiting Park Paddocks can see the annual Thoroughbred Breeders’ Association stallion parade which will feature the likes of Adaay, Eagle Top, Pearl Secret, Due Diligence, Mustajeeb, Gregorian, Telescope, Mattmu and Heeraat.